Acne occurs when sebaceous glands attached to hair follicles overproduce the oil-like substance sebum. Sebum, along with dead skin cells, is trapped within pores until skin surface bacteria penetrate and induce inflammation. Acne can be caused by hormones, genetics and some medications. Potential aggravating factors include improper skin care, diet, and stress. Traditional acne treatments target the different steps in acne lesion formation. Retinoids decrease sebum production and prevent clogged pores. Anti-inflammatory agents prevent excess inflammation. Antibiotics kill skin surface bacteria and hormonal treatments reduce sebaceous gland activation. While many patients benefit from a combination of these therapies, treatment can be limited by skin irritation with topicals and concerns about systemic side effects with oral medications. In addition, many patients with cystic inflammatory acne do not improve with topicals alone. 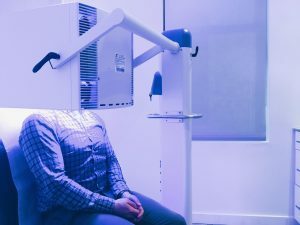 Photodynamic Therapy is an alternative, minimally invasive, in-office procedure that targets the different factors contributing to acne lesion formation. It shrinks sebaceous glands that lead to clogged pore formation and kills the main pimple producing bacteria, Propionibacterium acne (P. acne). A topical photosensitizer called Levulan is applied to the skin and allowed to incubate. Levulan is 20% Aminolevulinic Acid (ALA), a naturally occurring compound in the body’s hemoglobin production pathway. Without aminolevulinic acid and hemoglobin, red blood cells would not be able to carry oxygen to your organs. Frist, Levulan is applied to the skin for an incubation time that ranges from 15-75 minutes. Active cells in oil producing sebaceous glands and skin surface bacteria absorb the ALA. Skin is then exposed to the Blu-U blue light illuminator for approximately 16 minutes. The blue light selectively targets these active cells resulting in the killing of skin surface P. acne and shrinking of oil glands. The combined interaction of aminolevulinic acid uptake and exposure to specific wavelengths of light is called photodynamic therapy. Even blue light exposure alone, without Levulan, can control the population of skin surface P. acne and reduce sebum production. For most patients, treatment begins with a full treatment of Levulan-PDT repeated monthly until desired clearance is achieved. Between PDT treatments, weekly blue light treatments help to maintain results. Once acne clears, blue light treatments are tapered in frequency, as tolerated. Blue light alone can be used for patients with oily skin and mild acne as well as for women who are pregnant or planning pregnancy. It is also a good option for patients who are discontinuing oral medications, birth control or isotretinoin. Levulan based Photodynamic Therapy causes photosensivity (sensitivity to sunlight). Patients are advised to avoid all exposure to sunlight for 48 hours after the treatment. It is common to experience a sunburn like reaction with some swelling, redness and peeling afterwards. Generally, these symptoms resolve within a few days. Blue light alone is very well tolerated. It does not feel warm and does not cause redness or sensitivity. Photodynamic Therapy, or PDT, is a non-systemic treatment for mild, moderate and severe facial acne. It is generally well tolerated and even has efficacy in patients with refractory breakouts. If you have facial acne that has been non-responsive to traditional therapy or wish to avoid oral medications, PDT may be an effective alternative. *Please note, PDT may not be covered by all health insurance policies.